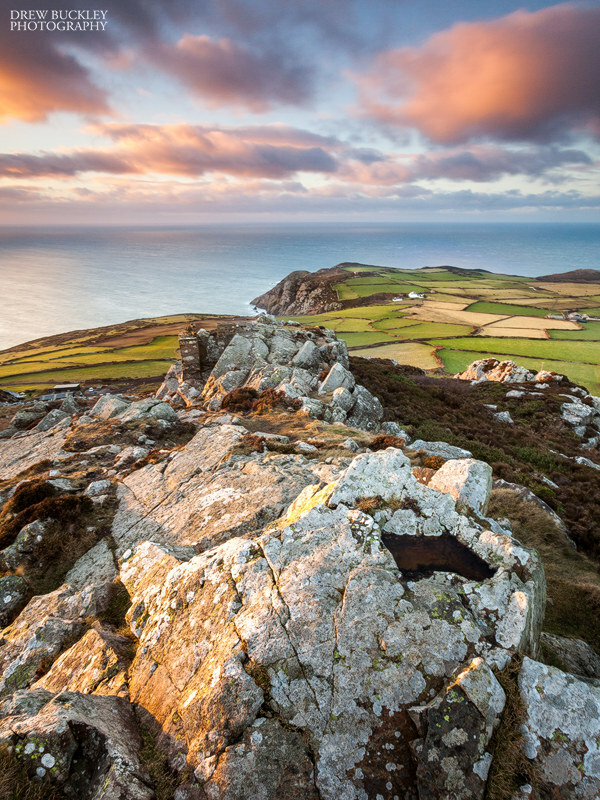 From the top of Garn Fawr in Pembrokeshire in some golden evening side lighting. If it looks cold and windy then I can tell you it definitely was! Had to hold onto the tripod in the freezing offshore January winds to get a sharp shot - six seconds exposure.